Ten Shocking Photos Of Drunk Footballers. Tragic Tottenham’s Transfer Trouble: Check Out This Incredible £178.6m XI Of Sold Stars That Would Destroy Mauricio Pochettino’s Current Team. 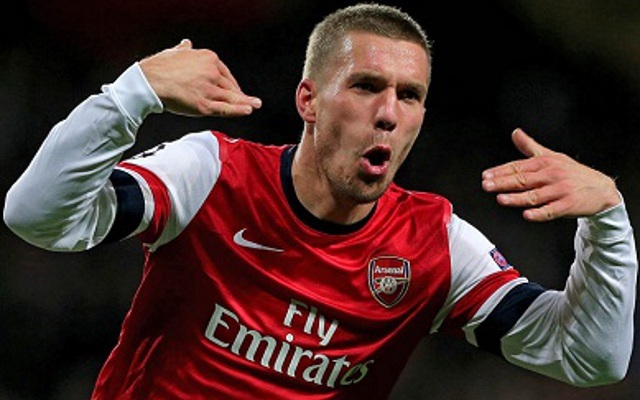 The future of Arsenal forward Lukas Podolski is far from certain. The 29-year-old has over a year left on his current contract at the Emirates Stadium, but he is still constantly linked with potential moves away from North London. Podolski has yet to start a Premier League match this season, but perhaps manager Arsene Wenger would consider giving him more game time if he saw these stats. According to OPTA, Podolski is the Premier League’s best finisher. He has a chance conversion rate of 27.9%, which is higher than any other top-flight player who has scored a minimum of 15 goals since the 2009/10 Premier League. Click through the pages to see who else makes the top five. Surprisingly, Manchester City’s Sergio Aguero and former Liverpool star Luis Suarez are nowhere to be seen. Robin van Persie and Wayne Rooney are not on the list either, but Manchester United are represented.